3/16"-200, 1/2 in long (0.500") Sapphire Tipped Fine Adjustment Screws are designed to create an ultra low friction environment. 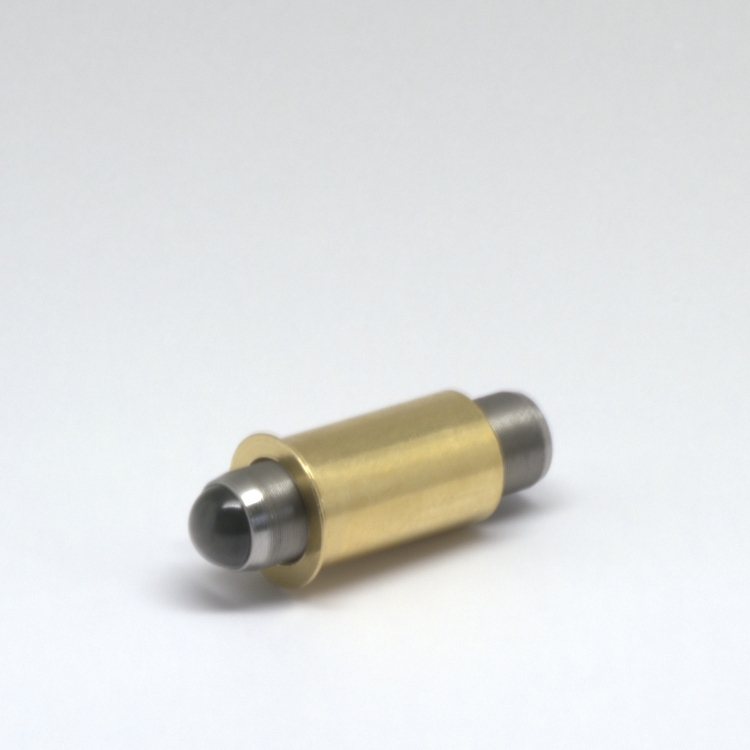 Base Lab Tools offers the finest 200 TPI (127µm/rev) screws available. Made in the USA. Screws and bushings are sold as matched pairs for the best fit. These 3/16"-200, 1/2 in (0.50") long screw and matched 7/16 in (0.438") long bushing pairs are ideal for the most sensitive applications. With a pitch of 127 µm/revolution, micron and better resolution is attainable. These matched fine adjustment sets have the smoothest, most accurate movement available.